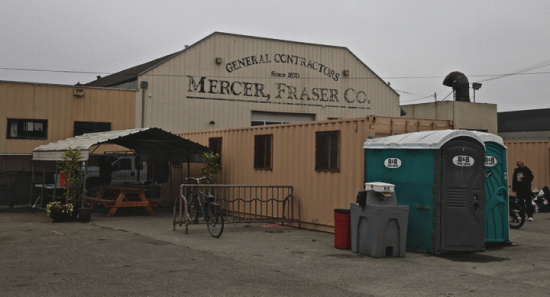 On Tuesday the Eureka City Council unanimously approved $75,000 of funding and a new site for the Greater Eureka Community Outreach Program (GECOP), more commonly known as The Blue Angel Container Village. 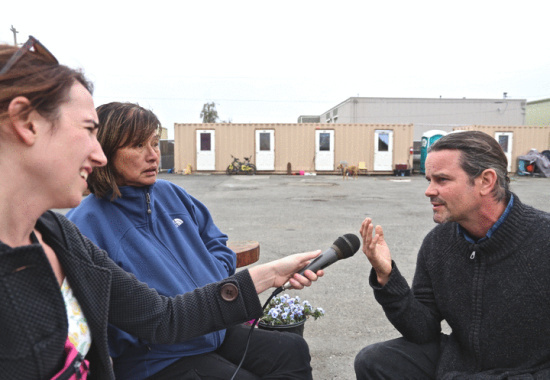 Yesterday we caught up with Betty Chinn and project manager James Rockwell to talk about the move, the extension of the program, and what’s in store for the future. In the special meeting the City Council voted to move the conatainer village to West Washington and Koster Streets. The city had also been considering sites on Marina Way (south of Dock B), the foot of T Street (near the Blue Ox), and the city-owned airport near the end of the Samoa Peninsula. Chinn and Rockwell were disappointed that Marina Way, their first choice, wasn’t ultimately chosen but they are regardless pleased with the outcome. “Well I’m really excited because at least we can help more clients; people that want to change,” said Chinn. The City Council expressed concerns over Coastal Commission approval of the Marina Way site which is why the council opted for the West Washington and Koster location. As for the possibility of staying where they’re currently located, Chinn says she could’ve approached Mercer-Fraser to ask if the village could stay there but she didn’t want to break her the earlier agreed upon six month residency she’d pitched to the community. “Six months in this property. I don’t want to break my promise to the public. Even I do have some neighbors and businesses here ask me to stay. A promise is a promise and I cannot break it,” Chinn stressed. The GECOP board estimates that they need $150,000 for next year’s operating costs. Number of operating costs came from this year. The Council agreed to send a letter to the Supervisors imploring the County to match funds. Betty also mentioned that they received a private donation. Since the program’s inception, the Blue Angel Village program has been widely praised for consistently getting people housing, mental health services, jobs, medical services and more. 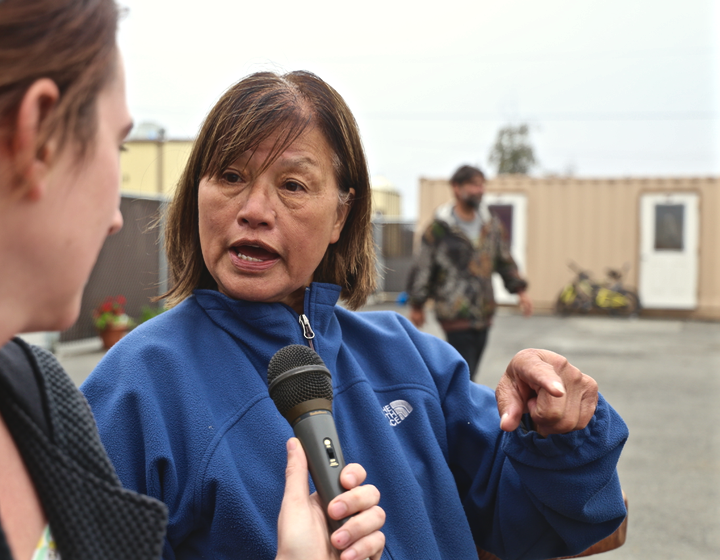 When the City approached Chinn about moving the village, one condition was that she had to talk to the neighboring businesses, a task she enlisted the help of Eureka Police Chief Andy Mills for. Area businesses were agreeable, thinking it would be better than the existing unattended-to temporary camp. The container village will be 24/7 monitored program. Chinn stresses that being a good neighbor is a top priority. Rockwell said that the City Council seemed fairly confident that it will get the Coastal Commission Emergency permit approved in time.